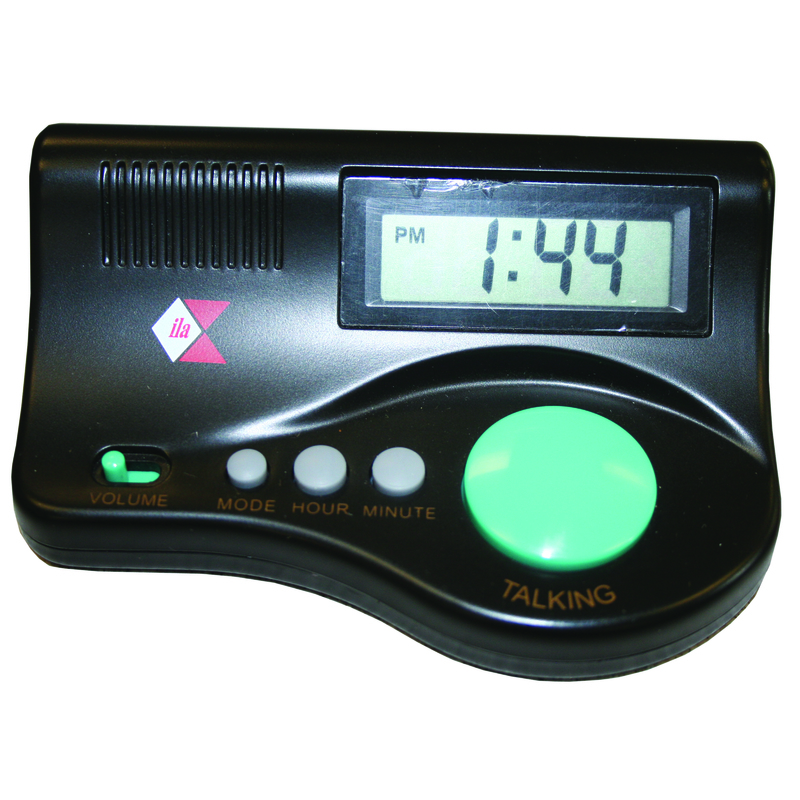 This small, desktop clock offers an optional hourly time announcement, high and low volume control, and an alarm feature. A contrasting large aqua button is pushed to hear the time spoken. Uses two AA batteries (not included).